Sleuths India, Awarded by The President of India (2012), A private detective agency known for excellence in investigation. 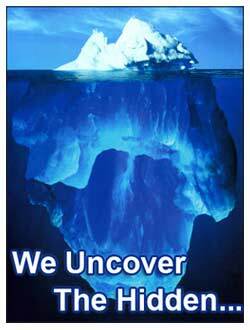 We have over 21 years of industry experience and possess the largest team of detectives in the country. Our agency has a pan-India presence with a solid network of branches across major cities and with full-equipped offices in Delhi, Mumbai, Kolkata, Pune, Bangalore and Lucknow. We're also the only agency with over 5000 solved cases under the belt. Sleuths India is also the most trusted private detective agency in Hyderabad with our teams using only the latest spy gadgets, spy camera and investigation equipment for solving cases of any nature. We're also the only detective agency in the country driven by a management comprising ex-army officers, police officers, and senior intelligence bureau officers. Our network is supported by a team of skilled and committed professionals from different walks. We're also the only detective agency in Hyderabad with active membership to prominent associations such as APDI, WAD, ASSOCHAM, PHD Chambers of Commerce, CII (Confederation of Indian industry), NASSCOM, DMA (Delhi Management Association). Our agency enjoys the leadership position in the domain on the back of matchless professionalism, high success rate with cases and ethical approach to investigation. That's why we have consistently been delivering value to clients and creating difference to their lives. With a team of best private detectives in Hyderabad, we provide a complete range of investigation and detective services to clients from private, public and government sectors alike. Be it individuals, celebrities or companies from any walk of life, we offer top-class investigation services to everyone for their cases. Our investigation services are always in great demand for personal investigation, professional cases, matrimonial verifications, corporate investigations, employment searches, counterfeit investigation etc. More so, our detectives in Hyderabad have access to the database and information that no other player in the industry can have. We are also recognized for following the industry's guidelines and abiding by the law while solving cases of any nature. In fact, we're perhaps the only agency with a team having both male as well as female detectives who get assigned to cases based on specific requirements. Sleuths India is also at advantage for being guided and led by Mr. Naman Jain - the multi-award winning MD, who has won the 'Young Investigation Entrepreneur Award' (was awarded By the President of India, 2012) and the "Investigation Entrepreneur of the Year Award" for 2014 (by MoS, Ministry of Home Affairs). He's a stalwart of the investigation agency with having personally solved some of most high-profile cases and enjoying the respect of the peers and experts alike. Unlike other detective agencies in Hyderabad, we have a director – Nidhi Jain – whose credentials are well-established as she has won the prestigious "Investigation Leadership Award" in 2017, awarded by the Honorable Minister of Tribal Affairs in India. She is one of the pillars of Sleuths India with the task to manage the operations and help maintain coordination between different branches. We're also privileged to be the most widely covered detective agency in Hyderabad with our achievements and good works consistently getting mentions across media platforms. Our agency has always grabbed headlines for all the right reasons, and without doubt, more than any other in the industry. We have already been covered by some of top names including The Times Of India, The Economic Times, The India Today, Hindustan Times, the Deccan Herald, DD News ( Prasar Bharati ) etc. More importantly, we have the manpower, resources, skills and experience to deliver the best of detective services in Hyderabad for cases of any nature and ensure good results to clients. Perhaps all this is the reason why we lead the industry by a mile and remain the most trusted investigation agency. With Sleuths India, you're assured of the best in investigation no matter what type of case you do have.